Our Color Spotlight of the Day is… Steel Grey granite! This stone is a stunning, coarse-grained granite that is quarried in India. It has a uniform dark-grey color with spots of black and silver that gives it charcoal-like appearance. When you take a closer look, you will notice the presence of crystal pebbles within the stone that gives it a very interesting look. 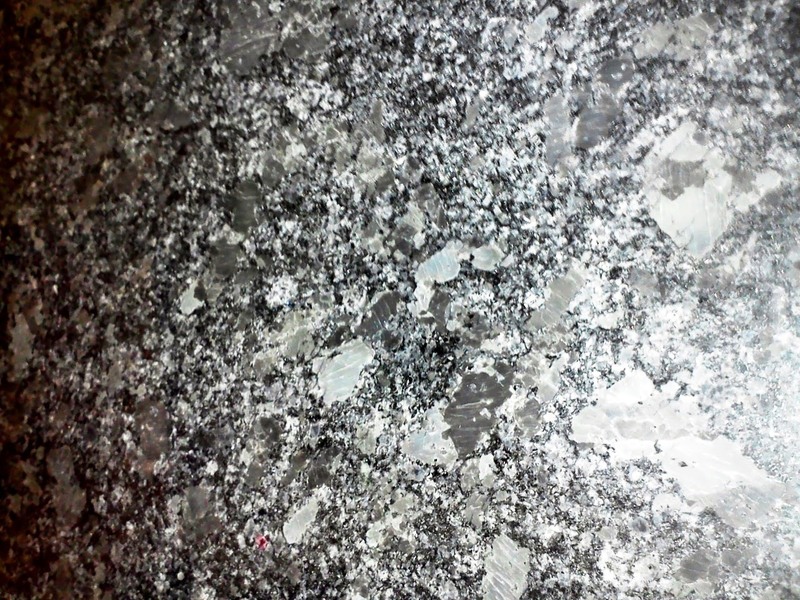 This unique characteristic in Steel Grey granite is one of the reasons why it stands out from other colors. This stone requires very little maintenance and guaranteed resistant to scratches, moisture, mold, and heat. This is a great choice for kitchen countertops because it is easy to wipe down, and cleaning up greasy spots that come from cooking, are easy to do. It is ideal for those who are always on the go and don’t have a lot of time to keep up with a kitchen that needs a lot of time and maintenance to look good. Steel Grey granite belongs to the mid-tone category of stones which basically means that it can blend well with most color schemes in your home or office. It is one of the top favorite granite colors among our clients and designers for both residential and commercial projects. This color really stands out when combined with white kitchen or bathroom cabinetry, and will provide an elegant and contemporary look. Steel Grey granite is not only beautiful, but durable and long-lasting. If you are planning a remodel, Steel Grey granite is a great choice that will last give a different personality and vibe to your kitchen, bathroom, or office project. Do you want to see this stone in person? We have Steel Grey granite in stock and ready for immediate delivery. Quantity is limited so don’t hesitate and stop by today or give us a call to reserve your slab!